Three years after starting its activities, the IITA banana breeding team based in Arusha-Tanzania has planted its first banana hybrids for field evaluation. While this is a major milestone for the program, it also underscores the complexity and slow pace of banana breeding. 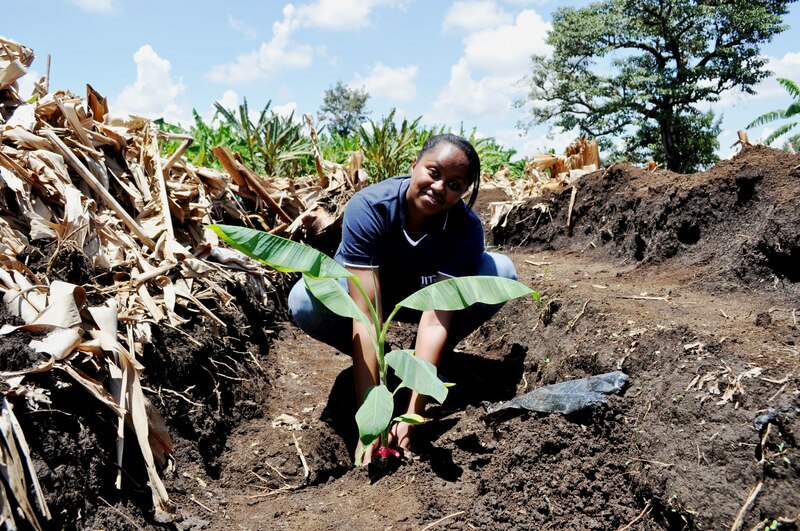 Dr Brigitte Uwimana, planting the hybrid banana in the trial field in Arusha. 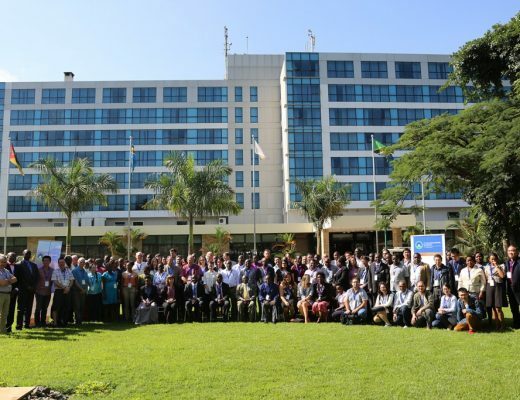 The program started its activities in Arusha in early 2011 after many years of successful banana breeding in Nigeria (for plantain) and Uganda (for matooke or highland cooking bananas) in collaboration with the National Agricultural Research Organization (NARO). In Tanzania, the breeding is focusing on Mchare, an important group of cooking banana varieties in the Arusha-Kilimanjaro region and in other East African countries. This breeding program aims to develop Mchare banana varieties that are high yielding with resistance to Fusarium wilt, a soil-borne fungal disease that is attacking the crop in Tanzania. “This breeding program follows two main streams. One stream targets crosses to gather information to accelerate banana breeding. The other target crosses that aim at producing improved Mchare,” said Dr Brigitte Uwimana, the postdoc banana breeder based in Arusha. “Banana breeding is a tedious undertaking, mainly because banana are sterile and don’t generally produce seeds (parthenocarpy). This makes the generation of new hybrids a challenge. These hybrids will be evaluated in the field and the best will be selected for further breeding Mchare banana,” Brigitte explained. The successful breeding of the new hybrids involves the selection of fertile parents, seed extraction, seed germination in the laboratory, and nursery management.